La Bodega opened on May 1st 2008 in what was formerly the Black and Grey and is owned and run by April Atkinson, who has over 30 years industry experience. An authentic Spanish Tapas and Wine bar offering the highest quality of fresh Spanish food cooked with imagination at very reasonable prices. The bar has a Spanish influence and a renowned list of inexpensive wines. 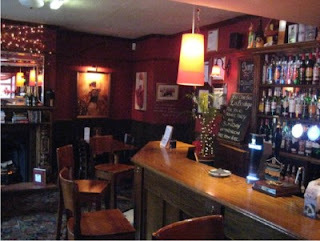 Located Minutes off the busy A1 at Morpeth La Bodega offers its customers quality offerings in all areas. Offering home cooking at its absolute best, with a mouth-watering menu of traditional favourites and modern cuisine, combining effortlessly to cater for all tastes and occasions. Providing the same warm traditional hospitality to local and international clientele that you would find in Spain and everywhere else in the Mediterranean, the mellow interior and friendly vibe keeps the place buzzing, while a mouth-watering selection of tapas and paella fills up the menu.